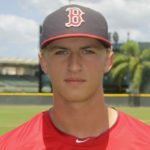 Pitcher Michael Kopech made a solid major league debut on Tuesday night with the White Sox, then soon realized he’s back in the news for racist and homophobic tweets he made 5 years ago at the age of 17. Kopech responded to the criticism by saying, “It’s unfortunate that I was ever at that point mentally, but it’s not who I am now. Yeah, I cleaned some tweets up and tried to get rid of them. But, obviously, people saw them. It’s not who I am now, and it’s not who I want to be.’’ Kopech joins major leaguers Trea Turner, Sean Newcomb and Josh Hader who also had to apologize recently for old racist remarks surfacing on their social media accounts. San Francisco 49ers cornerback Richard Sherman launched a daily fantasy sports site called Daily Number. As a co-founder of the company, he’s believed to be the first player to own or co-own a fantasy game.